The Morning Glory Rice Cereal Factory at Anna Regina on the Essequibo Coast remains in operation and is fully functional, according to Institute of Applied Science and Technology (IAST) Director Dr. Suresh Narine, who says that although the business is in its infancy, it has already gained a foothold in local supermarkets. 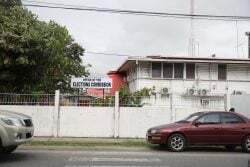 Narine made the disclosure in response to a Guyana Times report in which Region Two Chairman Devanand Ramdatt suggested that the factory had ceased operations and that its presence had made very little impact in terms of its overall contribution to the development of Region Two. 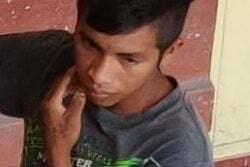 But Narine, who heads the agency responsible for the factory, told Stabroek News that for the three-plus months that the factory has been in operation, the company has recorded a profit of $6,535,812. This suggests the plant, even at this early stage of operation, is recording an approximately 20% return on investment. “We were quite surprised by the article because our plant is very much in operation. When you say something is out of operation, we take that to mean that it is closed; the facility is not closed but the facility has a production schedule. That production schedule is based on our demand,” Narine explained. “We are also surprised that the comments are ascribed to the Regional Chairman because we have extended an invitation to the regional administration to visit the facility and for them to liaise with us since there is, of course, a large expectation and understandably so related to the cereal plant,” he said. “…Because it has taken an inordinate length of time for it to become operational—we are not very happy with that either—but because of that we extended invitations both to the town council and the regional administration to sit down with us and have any questions answered,” he added. However, Narine noted that to date, they have only been visited by the Regional Executive Officer Rupert Hopkinson. Nevertheless, he said that the IAST, aware that there may be concerns arising out of the fact that public monies have been channeled into the factory, would be pleased to provide answers where necessary to the regional administration. According to Narine, the factory was commissioned in late August, 2017, almost two years after they turned sod for its construction. 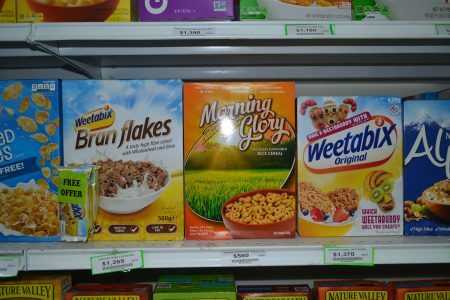 In October, after a period of testing and installation, he said they started the commercial production of what is now the Morning Glory Rice Cereal. 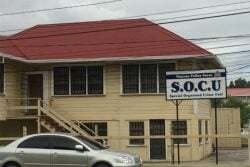 Since then, he said the company has managed to make $12,758,800 in gross sales, the majority of is related to the Ministry of Education’s National School Feeding Programme. He noted that they were able to access that market because they were working with the programme on a pilot basis leading up to production. In addition to those sales, they would have made a significant amount of sales to other government agencies, the Director added. 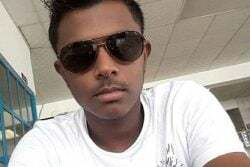 Narine also disclosed that towards the end of December last, the institute began investigating a number of distributors, before settling on ANSA McAL. “We signed an exclusive distribution deal with ANSA McAL in December to distribute the product in Guyana. 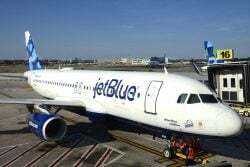 The exclusivity extends only to Guyana and the reason we did so is because we got the best deal from them in terms of mark ups; we wanted the product to be affordable to the general public,” he explained. “ANSA McAL has actually agreed to spend $2.9 million in marketing and advertising in 2018 for the product and although they only took delivery of products in late 2017, they have already placed on the shelves in Bounty, Jaigobin’s Supermarket on the Essequibo Coast, Bacchus Supermarket also on the Essequibo Coast, the two biggest supermarkets on the Essequibo Coast; S&S supermarket on the East Coast; Giftland’s Foodmaxx and we are scheduled next week to be in the Massy Store, DSL and the remaining Bounty, which is Kitty,” Narine added. In terms of their projected sales for this year, the company is looking at an estimated $34,848,999 in sales based on the demand of four major customers, including the Ministry of Education’s National School Feeding Programme, the Guyana Marketing Corporation, the Guyana Defence Force and ANSA McAL Distributions. “In 2018, as of today, we have already sold $5.8 million. However, there is not a direct proportionality between sales and time because we have frontend sales, for example the feeding programme will take a lot in bulk at the front end and then you can have a slow succeeding months but we are definitely starting off the year good,” Narine said. “The approximately $35 million in gross sales in 2018, I would say, [is] a target that we are reasonably certain that we will achieve and based on that we have a production schedule… at the same time we are trying to generate additional markets. So, for example, we have our eyes set on the Georgetown Public Hospital and the regional hospitals because our products are highly nutritious,” he further noted. Sharing the figures for the amount of local materials used for the 7.65 tonnes of cereal produced since operations began, the Director said that a total of 6.89 tonnes of rice, 1.15 tonnes of sugar, .766 tonnes of molasses and .306 tonnes of bran were used. 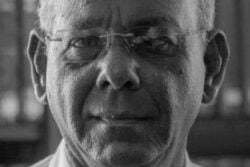 He noted that every single one of those commodities, with the exception of the molasses which was sourced directly from GuySuCo, was obtained from farmers on the Essequibo Coast. “While the demand here might not represent a significant percentage of the rice crop, it represents local sales that would not have existed,” Narine added. In response to the Regional Chairman’s comment about the factory having little impact on the employment rate in the region, Narine noted that while the promise was to employ 200 people from the Essequibo Coast, at full operation of three shifts of the facility, one must remember that the company is still in its infancy and there is a well-known trajectory followed by new food products introduced into a market place. “We started an entirely new business in an environment where there were no trained people; we have launched a brand which has clearly set sight, on the giants in the sector, that is, Kellogg’s, Rice Krispies, they are our target, so now we can’t afford to have any quality issues, packaging issues, sanitation issues. So, in this instance, you’re going from 0 to 100 very fast and we’ve had to do everything, train people and everything,” Narine said. At present, the factory has on staff 18 full-time employees, six of whom are processing technicians, who are only engaged in production according to a schedule. Narine explained that the schedule is based on their forecasting for demand for 2018 and that in the months where they do not produce, the technicians are given the opportunity to make the cereal boxes. But rather than being paid as technicians during that time, they are paid on a per box basis. “They have the opportunity to be continuously employed but we have the ability to control our expenditure and ensure that the facility is being run in a fiscally responsible manner,” the Director said. However, because the plant is very technical and they lack the presence of completely trained people from the area, 12 people have been seconded from the IAST. “These people are people who are highly technical, who would spend the requisite amount of time in Anna Regina during production and are paid 30% of their day’s pay at the IAST whenever they are over there. What that allows us to do is avoid incurring the fulltime cost of that staff member until the sales justify it. At the same time, it allows us to download the skills from these people onto local staff,” Narine explained. Important to note however, is that the IAST boasts a “no nonsense” policy when it comes to the work at the facility in order to maintain quality control. The IAST recently published an invitation for bids for the construction of concrete drains, a building to accommodate a lunch room, offices for staff as well the improvement of a perimeter fence and supply and installation of security camera system. Narine said that initial monies received to commission the factory were not enough to include all of this, but because there is a need to “beef up” security and ensure that quality control is maintained, steps have been taken to have these things done. “The drains around the facility are earthen drains and because it’s a food facility we feel that concrete drains would be better… One of the things we didn’t have money for in the original allocation was a lunchroom for staff. We now realise that this is very important to the comfort of our staff. Also because the facility is very sterile, currently the offices are separated in a sterile manner from the factory but we want to completely remove the office from the factory so that there is never an accident where someone breaks protocol and enters the factory without being sterilised,” he explained. In addition to ensuring quality control, Narine said that efforts were made to have all operations accounted for in a formal corporate structure so that finances between Morning Glory and the IAST will not be blurred. Will the rice cereal factory really employ 200 workers?